Donor Alliance trabaja con varias organizaciones locales y nacionales para ayudar a salvar y sanar vidas a través de la donación de órganos y tejidos. Visita los siguientes links y explora la lista que se encuentra abajo para aprender más sobre las organizaciones con las que colaboramos. Mission Statement: Honoring the gift of donation, AlloSource responsibly develops processes and distributes life-enhancing bone and tissue allografts for our communities. Founded in 1994, AlloSource is one of the nation’s largest non-profit providers of bone and soft tissue allografts for use in a host of medical treatments. Mission Statement: The American Transplant Foundation seeks to eliminate our country’s shortage of human transplant organs. Developed to put an end to the often futile searching and endless waiting for organs, the American Transplant Foundation uses a nationwide approach that is not focused on specific organs but rather on all transplantable organs. Their core mission includes, but goes far beyond, donor awareness. Mission Statement: In partnership with our community, Bonfils Blood Center saves and enhances lives. Bonfils Blood Center operates nine community donor centers, serves over 115 statewide healthcare facilities, collects more than 200,000 units of blood every year and offers a variety of services to better meet the needs of the community. Mission Statement: The Rocky Mountain Lions Eye Bank (RMLEB) is a community based, charitable, non-profit organization that crusades against blindness through sight restoring transplants and research into ways to overcome blindness. The Rocky Mountain Lions Eye Bank is dedicated to fulfilling the altruistic wish of their eye donors and their families and helping others in need through transplantation of donated eye tissues. The American Association of Tissue Banks (AATB) is a scientific, not-for-profit, peer group organization founded in 1976 to facilitate the provision of transplantable cells and tissues of uniform high quality in quantities sufficient to meet national needs. Mission Statement: To reduce disability and death from cardiovascular diseases and stroke. *A Denver chapter is also available through the American Heart Association. The American Liver Foundation is the nation’s leading nonprofit organization promoting liver health and disease prevention. ALF provides research, education and advocacy for those affected by liver-related diseases, including hepatitis. *A Rocky Mountain Chapter serving Colorado is available through the American Liver Foundation. Mission Statement: To prevent lung disease and promote lung health. The American Lung Association is the oldest voluntary health organization in the United States, with a National Office and constituent and affiliate associations around the country. Founded in 1904 to fight tuberculosis, the American Lung Association® today fights lung disease in all its forms, with special emphasis on asthma, tobacco control and environmental health. Mission Statement: The American Transplant Association, Inc. (ATA) is dedicated to providing patient-oriented education and services to those affected by and interested in organ transplantation. The American Transplant Association was established as a national, non-profit organization to share knowledge and experience with transplant patients nationwide. *A Rocky Mountain Chapter is also available through the American Transplant Association. Mission Statement: The Association of Organ Procurement Organizations (AOPO) represents and serves Organ Procurement Organizations (OPOs) through advocacy, support and development of activities that will maximize the availability of organs and tissues and enhance the quality, effectiveness and integrity of the donation process. AOPO is a private, non-profit organization recognized as a national representative of organ procurement organizations. 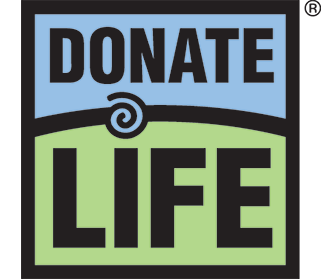 The Coalition on Donation, also known as “Donate Life America,” is a not-for-profit alliance of national organizations and local coalitions across the United States dedicated to inspiring all people to donate life through organ, eye and tissue donation. Mission Statement: Seeks to prevent kidney and urinary tract diseases, improve the health and well-being of individuals and families affected by these diseases, and increase the availability of all organs for transplantation. *The National Kidney Foundation of Colorado, Montana, and Wyoming (NKFCMW) is also available and can be accessed through this web site. The National Marrow Donor Program (NMDP) helps people who need a life-saving marrow or blood cell transplant. They connect patients, doctors, donors and researchers to resources they need to help more people live longer, healthier lives. The Organ Procurement and Transplantation Network (OPTN) is the unified transplant network established by the United States Congress under the National Organ Transplant Act (NOTA) of 1984. The act called for the network to be operated by a private, non-profit organization under federal contract. The OPTN is a unique public-private partnership that links all of the professionals involved in the donation and transplantation system. Mission Statement: To instill health, happiness and hope through education, advocacy and awareness to the kidney community… one person at a time. The Renal Support Network (RSN) is a nonprofit, patient-focused, patient-run organization established in 1993 to provide non-medical services to those affected by chronic kidney disease (CKD). RSN strives to help patients develop their personal coping skills, special talents, and employability by educating and empowering them (and their family members) to take control of the course and management of the disease. Mission Statement: To advance organ availability and transplantation by uniting and supporting our communities for the benefit of patients through education, technology and policy development. The United Network for Organ Sharing (UNOS) is a non-profit organization that was awarded the contract by the Department of Health and Human Services to operate the Organ Procurement and Transplantation Network and develop a national system to assure equal access fro all patients needing organs for transplantation. The Division of Transplantation’s principle responsibilities include the management of the Organ Procurement and Transplantation Network (OPTN), the Scientific Registry of Transplant Recipients, and the National Marrow Donor Program contracts and public education to increase organ donation and technical assistance to organ procurement organizations.